Veterinary hospitals often underutilize operational and financial data, according to iVET360, a Portland, Ore.-based practice management services company. To help better leverage this information, the company has developed a digital dashboard, called Pulse. Pulse combines operational data from practice management software, financial programs, and other statistical sources, allowing for one-source conversations among veterinary hospital owners, practice managers, and their teams, the company states. The dashboard is accessible through smartphones, tablets, and computers, eliminating paper reports and saving time and resources. Veterinary offices can track such metrics as new client growth, revenue, transactions, and gross profits, 24/7. Pulse also features Benchmark Reporting, which hospitals can use to compare their metrics against their peers. Users get additional access to LearningVet.com, an informational hub that translates the data and presents it simply, and teach best practices on topics such as veterinary marketing and culture building, according to iVET360. 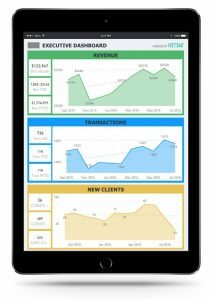 Other features include Net Client Tracking for gaining new clients and keeping existing ones, while Revenue Mix Reporting manages fees and cost of goods. Pulse also auto-generates a monthly list of clients who haven’t visited your hospital in 18, 24, or 36 months, allowing practices to better target their marketing initiatives. The first 250 hospitals that sign up for Pulse will receive a free, two-month trial that requires no commitment or card information, and does not auto-renew. For more information, visit iVET360.com/pulse.